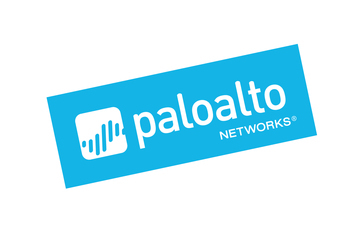 Work for Palo Alto Networks Wildfire? Learning about Palo Alto Networks Wildfire? "Best cloud base Threat analysis to detect malware and Zero day Exploits "
"WildFire - Great product - easy to implement"
Wildfire gives the ability to retro, and real-time, blllllock threats as they traverse your network infrastructure. Wildfire has 0-trust and if it doesn't know what the file does, it forwards the file up to the WildFire cloud and actively inspects the traffic for malicious capabilities. More features and functionality would be good. There seems to be no way to tune or tweak the solution. However, it does work great. Implement Wildfire with Palo Alto Traps!! Wildfire, if implemented with Traps, gives a very robust solution to endpoint security. While not fully implemented for us, it's a great first step to achieving great network security. "Wildfire keeps the world from catching fite"
Wildfire provides up to the minute protections from worldwide sources. Wildfire is an automated, mostly set it and forget it vulnerabilities list that can be included in my security policies. Wildfire is not as granular as I'd like it to be. It has been known to timeout for us. And sometimes the update fails out completely and makes us reboot the firewall. We needed something to help take the place of managed feeds and dedicated users scoping the internet for threats. With Wildfire we know we have a global team and global threat database at our fingertips. "The best sandbox feature !!" Wildfire has great capabilities to stop malware enter into organization by analyzing files in the PAN sandbox environment. Other vendors do have this type of of features, but PAN wildfires has accurate results and way more secure. Costs are bit expensive as this feature has separate license. Stopping unknown threats to enter in our organization. Wildfire providing us great security by scanning the malware files, etc. The search and upload functions are easy to use. When a hit is detected, the details are listed out completely. A lot of files that are found to be malicious by other websites are not found on WildFire. If you do use Palo Alto Networks Wildfire, be sure to have another method of document checking as well. File detection and malicious rating. The interface from Palo Alto Networks that graphs benign vs malware files. It is not always 100 percent accurate in determining malware. Analyze malware on the network saves time. * We monitor all Palo Alto Networks Wildfire reviews to prevent fraudulent reviews and keep review quality high. We do not post reviews by company employees or direct competitors. Validated reviews require the user to submit a screenshot of the product containing their user ID, in order to verify a user is an actual user of the product. Hi there! Are you looking to implement a solution like Palo Alto Networks Wildfire?